We will begin scheduling Parent Teacher Conferences tomorrow. 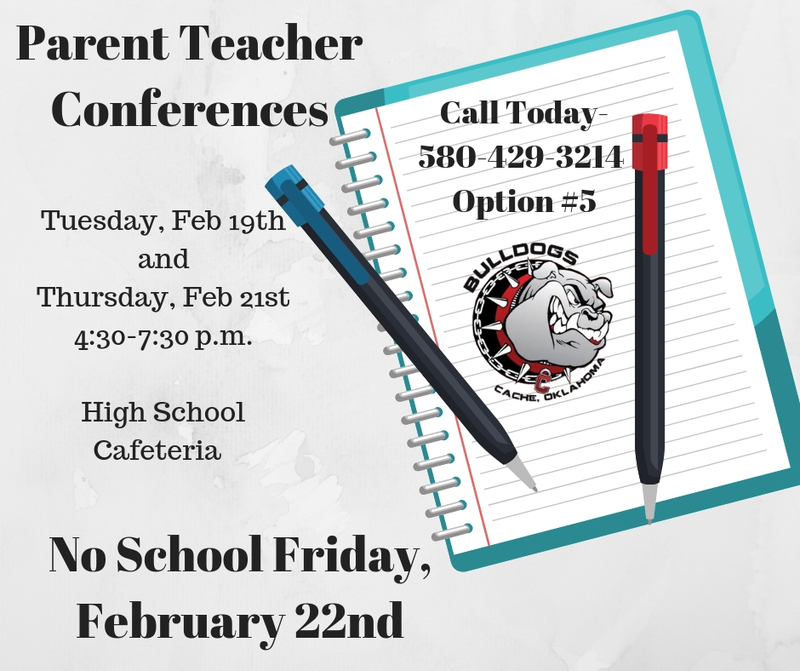 You can call 580-429-3214 option #5 to schedule a conference with your child's teacher(s). Conferences will be Tuesday, February 19th and Thursday, February 21st from 4:30 - 7:30 p.m. in the High School Cafeteria. No School on Friday, February 22nd. We look forward to seeing each of you.